Reading: Reorganization of Space installation at the RPM. 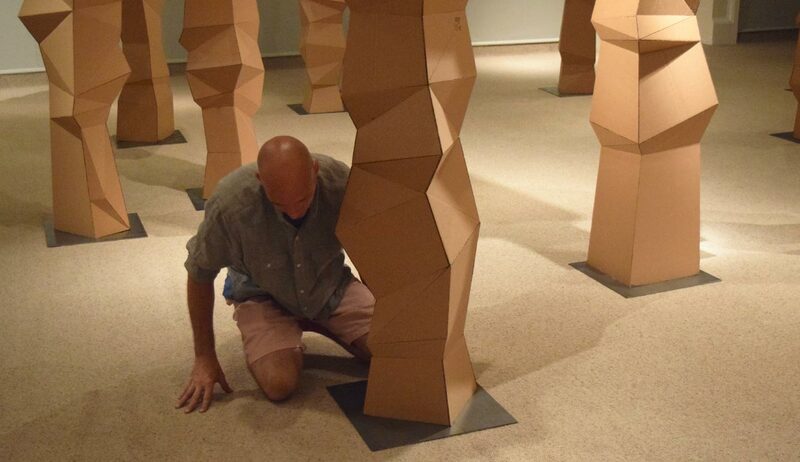 Artist Quincy Owens preparing his Reading: Reorganization of Space exhibition. Reading: Reorganization of Space is an engaging, multisensory art installation by Indianapolis-based artists Quincy Owens and Luke Crawley. 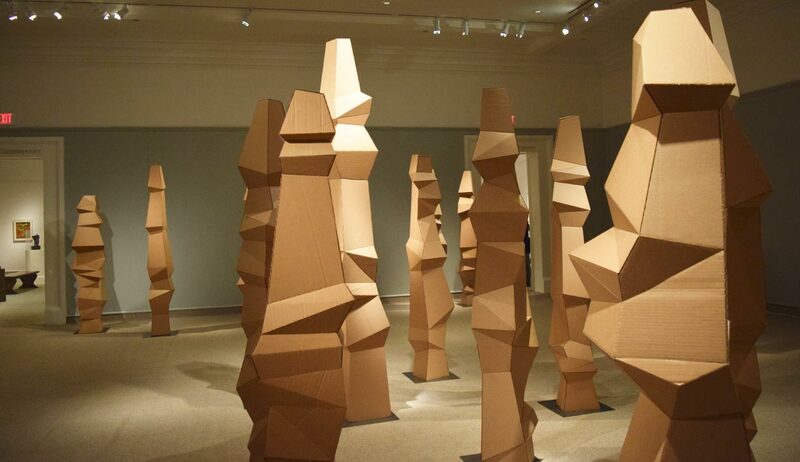 Comprised of human-scale, geometric totem-like sculptures combined with "sound art" that symbolically represents members of the community in Reading, Pennsylvania. The artists visited our city to record the stories of local residents, and the sounds of the region and surrounding areas as a way to understand shared societal experiences, beliefs, and emotions. 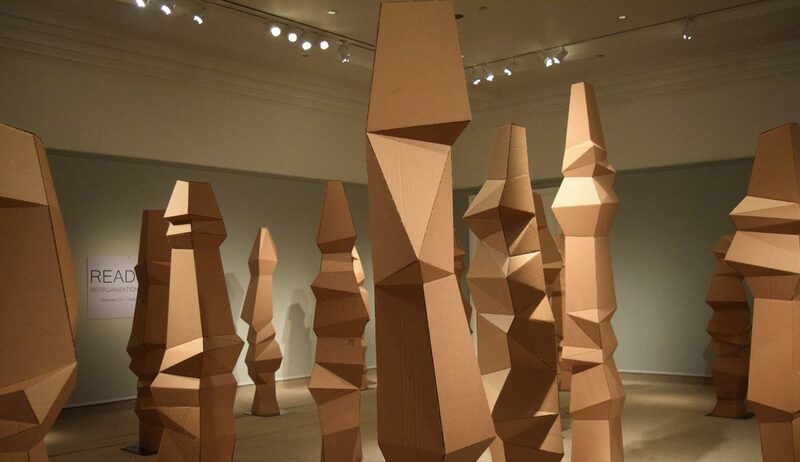 The exhibition consists of a group of abstracted forms created from cardboard — a common everyday object. These forms conceptually represent humans as members of a larger community who share, observe, and participate in civic experiences. The exhibition suggests a moment of transition and change as the community shifts from the past into the future. The sounds—personal narratives from both young and old expressing their hopes and dreams—will connect the city to the installation and share a broader human story. The collaborative artists have carried out similar community-based installations in Grand Rapids, Michigan (2013) and Indianapolis, Indiana (2014).